Richard Sibbes is widely considered to be one of the fathers of Puritanism in the seventeenth century. His passionate sermons and devotional works have persisted throughout the centuries and continue to influence modern-day scholars and people all over the world. 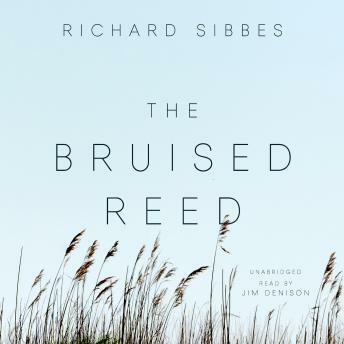 Taken from Matthew 12:20, Sibbes explains what it means to be a "bruised reed." It is a metaphor which exemplifies the way in which God humbles sinners by allowing them to see sin in the way that he sees it-the lesson being that God sometimes wounds before healing, but with the ultimate goal of deepening our love for Christ. Sibbes believed very strongly that "God's love rests on Christ," and often spoke of the comfort to be gained by acknowledging this. He preached that the same can be had for those who live in Christ and seek redemption for their sins.